Prime Minister Theresa May has suffered a historic parliamentary defeat. 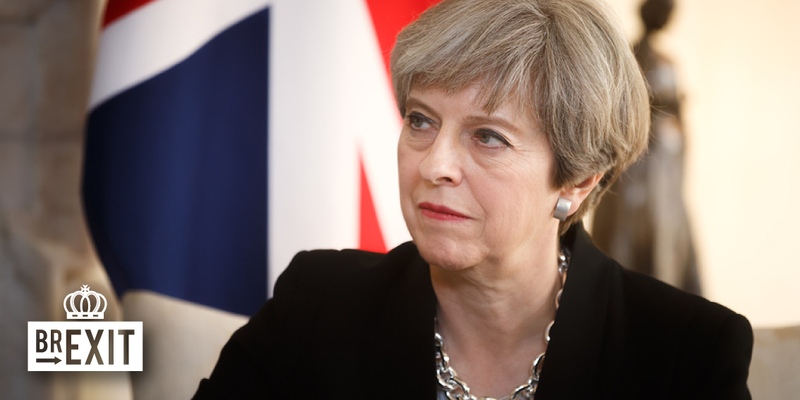 MPs have rejected her proposed EU deal with a thumping majority of 230 votes, dealing her a personal humiliation and calling into question her government’s entire Brexit strategy. Any government would struggle to deliver Brexit given the complexities involved and the bitter divisions the 2016 referendum exposed. However, much of the current chaos is surely of the Prime Minister’s own making. First, she triggered Article 50 before she had agreement in cabinet about the sort of deal she wanted, running down the clock until very little time was left. Second, she called an early general election and managed to lose her majority, relying on the support of the DUP to prop up her government and making a difficult situation worse. Third, she failed to prepare the country politically for the kind of deal she eventually achieved, using bellicose rhetoric from the beginning and doing too little too late to achieve consensus or to manage expectations. What happens now? Pretty much everyone expected May would lose the vote, but nobody really knows what comes next. It’s unlikely she’ll lose the planned no confidence vote, and she has not indicated her intention to resign. She may go back to the EU to try to negotiate further concessions to sweeten the deal, but that approach seems unlikely to work. At some point, if it really looks like “no deal” is the most likely prospect, then Tory MPs who want to avoid no deal at any cost will probably decide enough is enough. May is safe from a no confidence motion within her own party for another year, but they could lend their support to Labour in order to topple the government. Labour leader Jeremy Corbyn wants to see another general election. Britain’s political system is paralysed, and something needs to beat the gridlock. If the parliamentary arithmetic changes, then it might finally be possible to get agreement over what Brexit should look like. However, there is always the possibility that another election delivers yet another hung parliament. In that case, a second referendum might be unavoidable. Another referendum would be toxic and divisive. However, the current situation is also toxic and divisive, so at least a referendum has the benefit of properly defining what Brexit actually means: Theresa May’s deal, no deal, or remain. There isn’t time for all this, though. Organising an election or referendum will require either an extension of the Article 50 negotiating period (which requires unanimous agreement from EU Member States) or the unilateral withdrawal of the Article 50 notification (and it’s not clear this is possible from a legal standpoint, despite the recent opinion of the European Court of Justice’s advocate general). If there is no agreement on even delaying Brexit, then it’s “no deal” by default. What next for Brexit? How scared should Europe be of “no deal”? And could Britain be heading for a second referendum? Let us know your thoughts and comments in the form below and we’ll take them to policymakers and experts for their reactions! Every MP in the British House of Commons who are remainers, sitting there under false pretences, in seats where their constituents voted for Brexit must be de-selected and replaced by a Brexiteer. It was dishonest to have placed such individuals in areas who voted leave prior to the last general election. To do otherwise is unconscionable in the circumstances we now find ourselves in. To have another referendum is morally unacceptable as there is, A) no assurance the vote will be adhered to and B) to take the personal wishes of MP’s above the people who voted for them to represent ‘their’ view on the questioned asked in no way adheres to Democratic principle. Again, this post from the comments page of the Express yesterday tells it as it is. If the referendum was “advisory” you may be right. It wasn’t and you’re wrong. According to the law it’s not treason but sedition that many of our MPs are guilty of. That and showing total contempt for the very people who pay their salaries and expenses. To ignore the democratic choice of the eligible electorate and to not follow the instruction given by that electorate would be at best, stupid. At worst, very, very dangerous. MPs voted to hold a referendum. MPs voted to implement Article 50 knowing that we would leave with or without a mutually acceptable deal in place. MPs voted for an Act of Parliament that gave our departure date as 29 March this year, with or without a mutually acceptable deal in place. 80%+ of MPs were elected on a manifesto platform of leaving the trading bloc, with or without a mutually acceptable deal in place. MPs voted for an Act of Parliament that puts into UK law 20,000+ pieces of enforced legislation from Brussels in preparation for the UK to be a an independent, self governing country, with or without any mutually acceptable terms in place. On 29 March this year the UK is going to leave the trading bloc, with or without mutually agreed terms in place, just as our MPs voted for. EU seems like the mafia now. You get involved, you’ll never get out. Did the EU prevent or rigged the referendum? How is it blocking anyone to go out..
hey’ve been stalling the whole process since the beginning. And don’t think I’m defending the inadequacies of uk politicians..
Stef, why wouldn’t they be stalling it? What obligation have they got to give Brexit priority over other issues? And why do you think they should be bothered with the UK’s case at all? I am really curious to see your answer because it seems to be a recurring theme with UK commentators that they think that the EU is obliged to be dealing with the UK or to give absolutely anything to the UK. Stef, honestly I think that if the UK wanted to leave, the EU would let them leave. The problem is that they want to leave and, at the same time, they want to keep all the ties with the EU and ignore the problem with Irish boundaries. Since the beginning, the EU had proposed an arrangement with a boundary in the Irish sea. But the DUP refused it! I agree with Nadya that EU politicians have other matters than Brexit, and when you live in the UK it seems like it’s normal that they spend all their time on UK problems. The French Ministry for European Affairs said recently that she spent 30% or her time on Brexit, and she complained that she couldn’t devote more time on European projects and other urgent matters. It’s interesting. It will be clear to anyone what membership really means. Cancel the whole thing without a referendum or anything. Just come out and be honest that people were lied to and public opinion was manipulated in order to get the initial result and that the Tories effectively used people with a lower educational levels for their own personal goals. The whole thing has been a disaster and is making a fool out of the UK. The UK political system needs to be reformed as well and brought up to speed with modern democracies. You can’t have a referendum in order to remove rights from people and you can’t do that on the back of a 5% difference in the results. Why not demand/choose the position as did exist after the 1973/75 EEC negotiations & referendum? Q: Why are referendums not legally binding in the UK (or elsewhere) – only advisory”? A: Because of the UK Parliament’s sovereignty (not the voters). To fix this “deficit” all European national parliaments (who have such “deficit”) need to be convinced to enact legislation for the holding of binding plebiscites in future. Will they? UK facts: both EC/EEC & EU referendums where specially enacted in Parliament (under the “UK’s Referendum Act 1975 and the “European Union Referendum Act 2015”)- but advisory only. So- why did the Britain change from the EC and voted to join the EEC in 1975 by a majority of 67% with a 64% voter’s participation? Q: Why did Britain vote to leave the EU in 2016? Isn’t it because what was negotiated during 1973-1975 has changed substantially accompanied by a creeping loss in sovereignty- and more to come in future (USE & EU Army)? In all fairness- shouldn’t the UK’s “fall back position”= “deal” not be the position as negotiated during 1973/75?- whatever those conditions where? Similarly the “fall back position” applicable to any other EU Members should be based on the date when such Member held its last referendum to join the EU. There can’t be a “no deal” or crashing out- or chaos- as the EU & other scare mongers maintain- because everyone had a “deal” prior to joining the EU (UK=1975) via a national referendum- be it binding or advisory! Would that not be reasonable basis for any “new deal” which was an “old deal”? We need England in EU. Europe without England, without Italy, without Greece, without France is not Europe. To allow us to be United, we need to KEEP the DOOR of the DIALOGUE OPEN. We do not need EXTREME AUSTERITY POLICIES in Europe to cure problems, because we will give birth to WORST NEW ONES. Also, when the members of a UNION talk, the other members must litsen and A COMMON SOLUTION must be found. Why the people in Britain voted NO in the first place? That is a DEFEAT of the EUROPEAN UNION. Thats right. Together we’re strong. Trump, Poetin and Xi Jinping likes to play the divide and conquer game, but most Europeans are still not fully aware of it. Nobody would want to get out if is treated with FIRST CLASS APPROACH and RESPECT. I figure out they were promised to be better. Similar to Catalonia. that’s encouraging. Let’s show it with actions. Interest, cooperation, modern solutions, and first of all, show civilization. The options haven’t changed…a deal…a no deal ..or no brexit. …the only way to avoid the last 2 is to amend the agreement…the backstop must be timelimited (if not removed)….a no deal would be damaging to all…a no brexit would only set the seal on division and pave the way for rise of extremists and more calls to leave. We had a referendum, leave no deal. We should leave with no deal. We are not cry babies. Blame the Eu for their attitude,they are trying to stop us,aren’t they the cry babies? I am mot worried …England is a real democracy….they will find a way.The E.U. 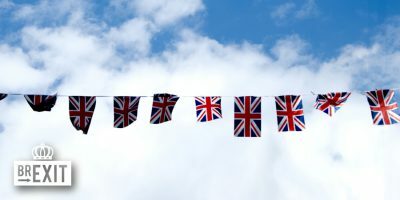 acts badly with all the states of the union….but England is not any state…..and we all know that a union without democracy will not survive and Europe without Britain is a joke. too late … Brexit is inevitable ! Now there’s a no deal brexit. What happens next is clear – economical and logistical chaos for a while, until the main pain points are settled in smaller agreements, with narrower scope. In the long run – I believe it’ll be settled just fine. There is no other option. Referendum, Eu membership or Hard Brexit. No populism, facts, and let the people decide. But British pride will be hurt. not to obtain the necessary votes to approve the agreement “Brexit” should call elections for the great defeat suffered for the second time in the Parliament. Why not hold a second referendum before the British know of the manipulation exercised during the campaign of the first referendum? No deal is better than a s*** deal. Let’s just LEAVE – the world won’t collapse. So that there is no misunderstanding, I have added the FT list showing which parts of the UK voted to Leave or Remain in the EU Referendum 2016. And added to that, the count of individuals in each part of the UK which brought about the majority vote of 52%. Please remember the UK was not the single country allowed to vote in our elections. There were various others who are not citizens of the UK who were given permission to vote on this most serious matter. What all British people must ask themselves is, did your constituency vote leave or remain? Do you have an MP who respects the wishes of the voters in your constituency? Do they vote in Parliament that way? Are you happy knowing your MP does or does not respect the wishes of his/her voters on this or any matter? What are you going to do to ensure your collective voice is represented by your Member of Parliament when they should vote on your behalf? Can you do anything to make sure you are represented in Parliament by the candidate you collectively elected? If not, how can you demand the party de-select such an MP and replace them with one who is willing to represent your wishes for the future of the country? What purpose is an MP who goes against the promises offered you in their party manifesto prior to a GE in which they ran for office? What was or is their personal agenda only seen once elected? If your MP does not uphold the will of their collective voters, individuals have no voice in the running of their country. Why did you vote for them if they are not going to represent and abide by your collective wishes? Do you feel that is Democracy? Macron is only partly correct today. If the UK leaves with no deal, the smaller EU member countries will take the brunt of the economic downturn. Their leaders should be banging the commissions door down to give a smoother transition to the UK. The Republic of Ireland is one of those. They are in the Euro, the UK is not! We have to take a good look at the lead up to the Brexit 2016 in/out referendum. Lets start with the Referendum proposal.This video was played endlessly on TV and radio throughout the UK at the time. We fully understood the message and what it meant to our lives. I give it to Cameron, what a difference his presentation of our British politicians he was. Clean, well groomed, articulate, with a beautiful speaking voice. I cringe in embarrassment when I see what is offered now as leaders of our country. And he did have self respect. Which in this next video gives us historically a view of British masculine principle. And today, almost three years later, a parliamentarian has to warn us of a betrayal of our people and our democracy. How has that been promoted? Who is behind this duplicity? Kate Hoey ‘Labour’ is facing de-selection as she is not adhering to her constituents wishes to promote Remain within the EU. Or, that is what is being claimed. This is a signal to all those who voted Leave to require their MP’s to likewise face a no confidence and de-selection if they are not promoting their constituents wishes in Parliament. There must be a call for no confidence of any representative MP who refuses to adhere to their promised wishes of either Leave or Remain when running for office on this matter. Not surprised at all. These schemers were just waiting to say no. If the UK does not leave the EU under our Brexit referendum vote, what will take place in 2020 is written here on this post to the Daily Express today. We will be forever subjugated and no longer a free people in a sovereign nation. All MP’S from all parties should tell the people the truth about the Lisbon Treaty and what will happen if we don’t Leave the EU. ..Google it for yourselves. … ! Option 3: UK shoul stay in EU. For a referendum to be organised, the deadline of 29 March will need to be extended. If this is not approved, then the only way ahead will be leaving without a deal which is still not respecting the will of the people as it is not known how many of them voted for a Brexit with no deal and if they were the majority. After UK leaves on WTO rules, the disruption of normal life will become obvious to anyone who doubted it, so there will be mass demonstrations calling for rejoining the EU. In this case what seems most likely, apart from the possibility for general elections and change of government, would be another referendum with the question “Do you want for UK to rejoin the EU? Answer: “Yes” or “No”. Then the majority will vote “Yes” and Britain will rejoin EU. Your crystal ball is very clouded indeed. You must be looking at it with one eye closed. It’s NOT a deal at all, that’s what they are calling it but it’s a TREATY and we can NEVER get out of it. From what I have understood, this is what now. The Lisbon Treaty…comes into effect 2020. 4: The London stock exchange will move to Frankfurt in 2020 and be integrated into the EU stock exchange resulting in a loss of 200,000 plus jobs in the UK because of the relocation. 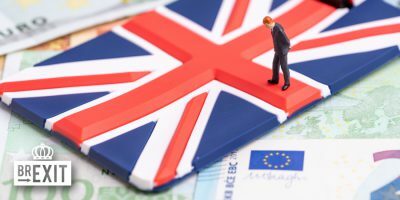 This has already been pre-agreed and is only on a holding pattern due to the Brexit negotiations – which, if Brexit does happen the move is fully cancelled but if not and the UK remains a member, it is full steam ahead for the move. 9: The UK will NOT be able to set its own trade quotas. One must commend you for your interest, concern, criticism and dedication to “fact check” and expose the future implications of the EU on the UK & all its slumbering Members! 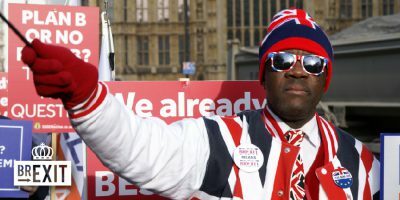 A true and aware UK and European patriot. Your correctly highlight a concern of many by referring to the “Passerelle Clauses” in the “Lisbon Treaty”- which allows the alteration of a legislative procedure which does not require national ratification. These step by step changes will create many more eruptions in future- unbeknownst to many today! The so called “small bridges” will allow the EU to bypass the EU Members sovereignty. A simple notification to the National Parliament with an objection period of 6 month will do the trick. Who of the remaining 27 governments and parliaments will be that alert and critical (never mind the busy voters concerned about earning a living) to object? Our most uncritical pro EU professional bureaucrats- most probably- will “sell out” without hesitation to secure their cushy jobs, pensions & please their political masters but will remain goose stepping! This is evident in the many comments here, that most have missed the gist of the EXIT within the wider & future EU scenario. It mainly revolves around views of personal in/convenience, emotional, uninformed but incorrect assumptions. The present- not the future with no alternatives. Convinced, informed & staunch USE supporters are of course an exception! Are they really 48% in the UK? One should not be surprised that the UK parliament has been tasked (by higher wisdom?) to decide on the natty gritty details which the ruling government (= “Conservative Party”) has to work out & present for final approval. Observed aggressiveness, scheming, stone walling and opportunism is hardly a helpful tool to reach a quick consensus in the UK parliament. Surely, the electorate in general would be too uninformed, disinterested or otherwise occupied. To revisit the 1973/75 negotiation details resulting in its “YES” referendum is seemingly just too much effort for most. The disarray and misunderstandings in government and parliament is an example & echoes the million different but confusing “democratic” voices. However, it is simplified, expressed and compressed finally in just one number- which is 52%! That’s it! Some in the UK can shout & rally until dooms day to have as many referendums or general elections (in short intervals) to delay or scuttle the “inevitable decision” by parliament! The final details will again rest with the “sovereign” parliament, their government of the day and NOT the “advising” voters who had their say in the referendum. Such delay is fruitless and only serves the EU planers to keep the UK “captured” for longer and the EU concept on track by eliminating a serious opposition to its “present” existence! It also demonstrates an inability by the UK government and parliament to implement and execute- efficiently- the 52% portion of the wish of its people to “LEAVE”. In the final analysis it is parliament’s sole responsibility- not for nothing- being declared “sovereign” over the UK’s electorate- to find a favorable EXIT. In my opinion, the whole EXIT exercise’s aim should be to restore & maintain UK’s (and other Members) political sovereignty with as many economic, science & security cooperation agreements as possibly with the EU in tact and give full expression of the 52% to EXIT the EU concept “as is”! Considering EU’s hidden, but questionable future plans for all of us! An important but delicate balancing Act- not becoming easier in future- hopefully decided by 29th March 2019! That is kind of you to write and to understand my motives! I do love my country, Europe and our democracy within that structure. Many in my family died for what they thought we had as a people. And, at the same time, it is again very worrying as, our media or those who run and own it, do not want it made generally aware of or what it is we are signing away. They will not allow the knowledge of what is in the many treaties of Europe or of what is contained in the Lisbon Treaty to out in day to day speech. It is hidden in lawyer jargon. Most people too busy and not wanting to have to translate what is written into what is planned for our future. And the idiot here who writes ‘it can be changed once we have signed up’ is really turning a blind eye to the reality of globalism. Especially enigmatic is, neither do those who have their big butts on seats in both houses of parliament even, though it will be the end of them. No matter which idealism they follow they ‘protect’ our citizens from knowing what government have signed up to on our behalf. Example, not a mention the fact that May signed up to full open door immigration policy in Morocco a couple of weeks ago. Not a word in the papers, on the news, or in any debate or discussion. And the very worst of all, Nigel Farage, and all those who claim to be hard Brexiteers who say they really want us out of the EU as soon as possible, never mention any of this. It is hidden in the same way the Obama’s bid for the White House concealed the full story of his aims for America. And, at the time, I found that hard to believe. This deliberate conspiracy of complete ignorance is astounding to me. George Orwell and Aldous Huxley certainly were light years ahead of their time and understood so completely the human sheep mentality. Phil May has been a dark horse during this administration. However it has now been mentioned by Tory MPs and commentators that Phil is puts forward his policy , which is that all the views of sides of the Tory party must be incorporated; hard brexit, soft brexit, and remain’ and no negotiations with the Labour party. So now it seems that the future of the British economy is in the hands of two people neither of whom is an MP – Arlene Foster and Phil May. What now! Now, the British people ought to realize that they had made their choice without really thinking carefully how to exit and what are the consequences. The EU has no duty to ensure the British people would not be adversely affected by the Brexit as a matter of fact, it is a very bad choice which the British people should not have made. It is the politicians and parties that have been shouting loudly for Brexit who have to offer their solution. Bringing their question to the EU is unfair for the EU has already been spending too much time for the negotiation. Brexit is a domestic/national issue created by the British people which has nothing to do with the EU. 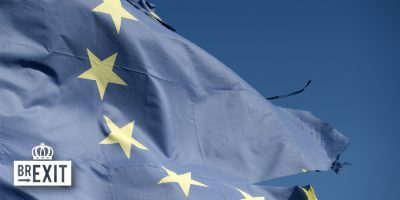 EU has more serious problem to deal with such as the US-EU trade disputes, the US withdrawal from the Middle Range Missile treaty, the Iran Nuclear Deal, etc. EU cannot stuck in this problem forever until the British people have finally made up their mind. The best EU can do is to allow the cancellation of the withdrawal from membership and everything go back to normal. Britain now has a deal negotiated with the united EU27 it could ratify anytime. It also could get a deal to equal or less favourable conditions after 29 of March. If Theresa May or the HoC want to reopen the negotiations they have to say a) what they want b) what they are willing to offer and devise a strategy how to regain trust in their negotiators. It would be difficult to meet the deadline because all the other 27 member states would also have to ratify. In a no deal scenario the main issue will arise from third countries for which trade agreements do not exist. I read that the UK just concluded one with the Faroe Islands. WTO Art. 24 fantasies won’t work but the UK might have to opt for innovative unilateral zero rate tariffs or be forced to leave the WTO as well because MFN principles. When I heard about the Brexit vote I thought that means EFTA as baseline or Norway+. No one expected this. The UK could still apply to regain EFTA membership. If the 29 March outcome is fatal Europeans are willing to offer fast-track membership to an independent NI, Scotland, Wales and ultimately England. Secession is the only political option to reverse Brexit and that would make a whole lot of sense for the citizens of the UK. NI independence is a great workaround of the backstop issues. Jumping off the cliff without ropes and parachutes is no wise choice. The fact that other nations are playing at the beach does not mean you would survive the impact of a jump. No one could be blamed for the gravitation. The ball is in the court of Britain, not of the EU. It appears to me that the real reason the people of England want to leave the EU is not because of the Northern Irish border but because of uncontrolled migration of peoples from the EU. If the UK had control of its borders for people-entry, they would never have voted to leave the EU. Even Nigel Farrage expressed the same opinion in the EU Parliament. They were especially resentful of a) the uncontrolled migration from the eastern European countries after they joined the EU in 2004, b) the uncontrolled migration from Syria and Asian countries through Greece and Germany and then spreading out to the rest of the EU and c) the uncontrolled migration from Africa across the Mediterranean to Italy and then spreading out to the rest of the EU. There is a precedent for EU countries controlling their own borders. When the eastern European countries joined the EU in 2004, only a handful of EU countries initially accepted uncontrolled migration from them, including the U.K. and Ireland. If a deal could be worked out between the U.K. and the EU that the U.K. would be given control of its borders for migration purposes, I feel sure they would forget the Northern Irish border and vote to stay in the EU. Initially it could be for a five or ten year period and could be renewed through further negotiation. WE must revoke Article 50 and stay in EU no need to waste money and effort on new referendum. Because the 2nd EU 2016 referendum is invalid: ballot was imaginary deal vs real stay! Say a Vote for removing all taxes: No vote means taxation system stays the same as it is – a real option.Yes is fantasy world without taxes. Putting lie on ballot is not democracy or to be respected! Swiss got 400 referenda said that EU2016 referendum is invalid, because if ballot is misleading the vote is invalid. UK is fed up with “will of the people” Corbyn/May lie. So you don’t believe in DEMOCRACY? This isn’t about Brexit or no Brexit; this is now about DEMOCRACY. If you don’t see that then you’re a fool.